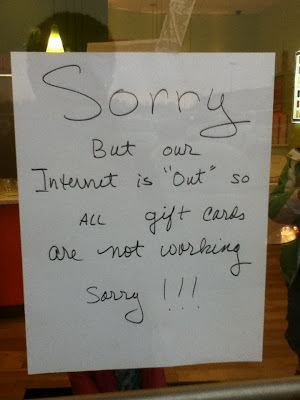 The “Blog” of “Unnecessary” Quotation Marks: Our internet is "out"
Just to be clear, the internet is not, like, out on the town. At least, we don't think it is. Thanks Charlie. Maybe it came out of the closet.